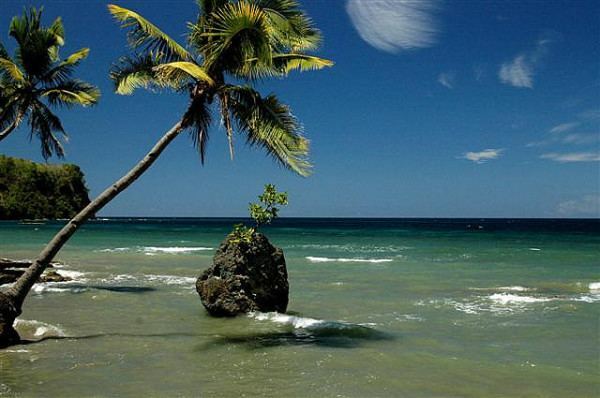 Agusan del Norte (Tagalog: , Cebuano: ) is a province of the Philippines located in the Caraga, a region in Mindanao. 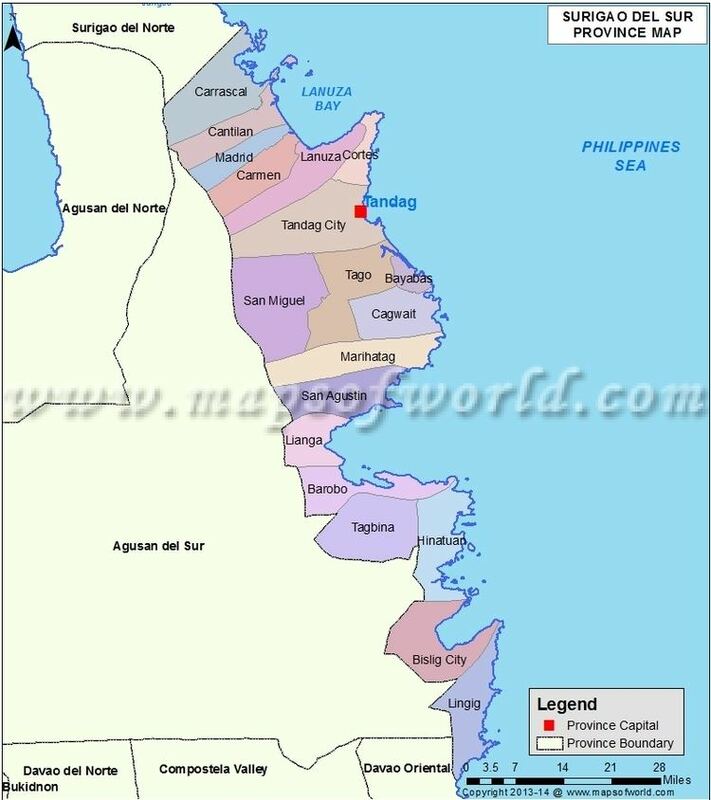 Its capital is Cabadbaran City and it borders Surigao del Norte to the north, Surigao del Sur to the east, Agusan del Sur to the south, and Misamis Oriental to the west. It faces Butuan Bay, part of the Bohol Sea, to the northwest. On August 16, 2000, the seat of provincial government was transferred from Butuan City to Cabadbaran by virtue of Republic Act 8811, although the province is yet to complete the transfer of provincial services and functions to the new capital. Located in the northeastern part of Mindanao, it is bounded on the north by Butuan Bay and Surigao del Norte; east by Surigao del Sur; west by Misamis Oriental; and south and southeast by Agusan del Sur. Agusan del Norte occupies a total land area of 2,730.24 square kilometres (1,054.15 sq mi). When Butuan City is included for geographical purposes, the provinces land area is 3,546.86 square kilometres (1,369.45 sq mi). 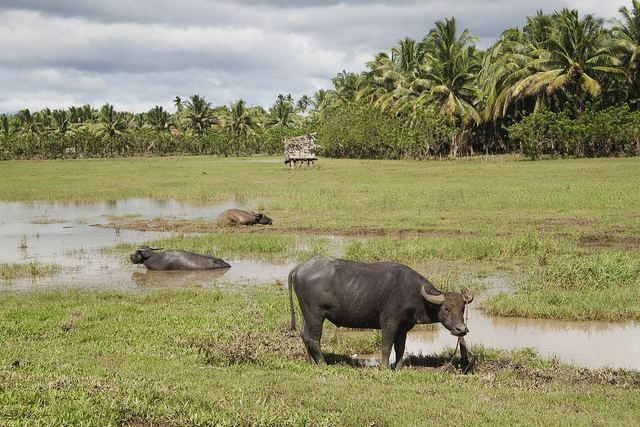 The economy of Agusan del Norte is dominantly agricultural, and it is one of the nations leading producers of rice. 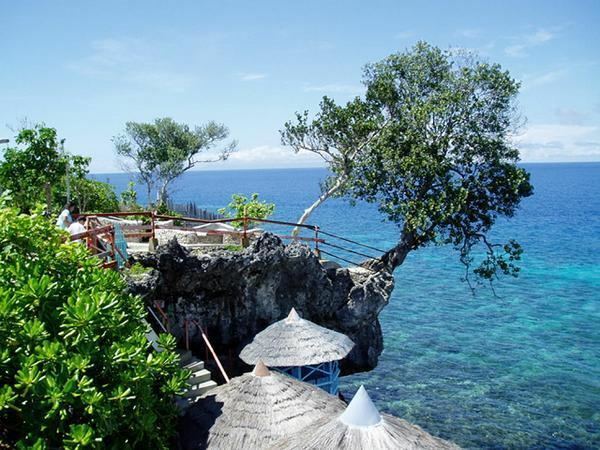 The province of Agusan del Norte has many beautiful beaches in Cabdbaran City and the towns of Carmen, Buenavista, and Nasipit. It also has Mount Hilong-Hilong in Cabadbaran, one of the tallest in Agusan del Norte. From the top of Prayer Mountain (Mount Pongkay), you can see the beautiful place of Cabadbaran like the buildings, churches, sea, rivers, etc. Also the Longest River in Mindanao and 3rd longest in the Philippines the Agusan River found in Butuan City, the Mount Mayapay Looming southwest of the Agusan Valley is this majestic mountain plateau, and also the Balangay boats that are ancient boats that were found in Butuan. They were excavated in the Balangay Shrine, across the Masao River from Bood Promontory. They played a major role in Butuan because Butuan was, and still is, a port city. Since its discovery, the Balangays have become an icon of Butuan. The Kaya ng Pinoy, Inc. recreated the Balangay boats and have sailed it as part of their project, the Balangay Voyage. So far they have only sailed around Southeast Asia. They are planning to sail around the world.